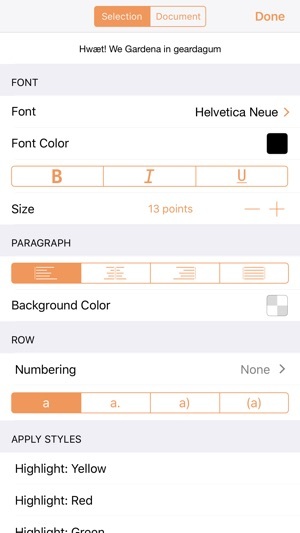 OmniOutliner 3 for iOS brings structured writing to a wider audience with the introduction of OmniOutliner Essentials and adds highly anticipated features to OmniOutliner Pro. Try out both for free! 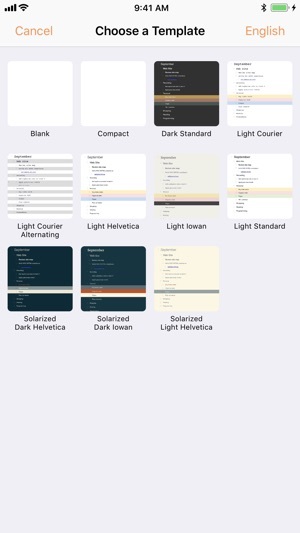 - Dark Mode: OmniOutliner’s UI adapts to match your document's background color. 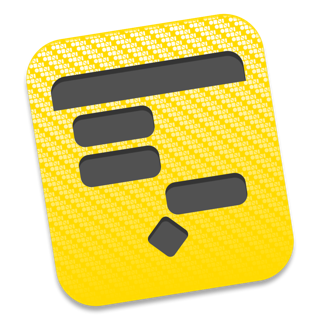 - Drag and Drop: Text can be dragged to documents. Rows can be dragged between documents or to other apps. - Keyword Filtering: Filter the outline by a keyword via the new Filter icon in the toolbar. - Simplified Inspector: Access simple document and text styling options via the redesigned Essentials Inspector. - Improved Outline View: Row handles and Status Checkboxes now follow the row indentation level. - Recent Documents: View recently edited documents all in one place, regardless of whether they're saved locally or synced via another service like OmniPresence or iCloud. - Templates: Choose a template or apply a theme to an existing document using OmniOutliner's new Template Picker. - Printing: Documents can now be printed via the new Print option in the Share menu. - PDF: Send a PDF copy of your document using the new PDF format option. - 1Password: 1Password integration is available for OmniPresence account setup. - New File Format: OmniOutliner 3 for iOS adopts the new .ooutline format introduced by OmniOutliner 5 for Mac: a flat (zipped) file that is more compatible with third-party cloud sync platforms. - OPML Mode: When editing OPML files, features not supported by the file format are hidden or disabled. - Pro Document Compatibility: Documents containing Pro features are fully viewable in Essentials, along with an option to import a copy that removes all Pro content. 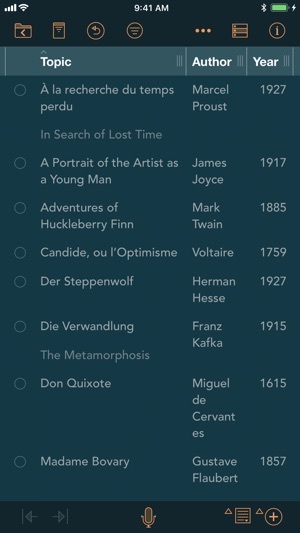 - Focusing: A Section List has been added to give you an overview and focus on certain areas. - Status Bar: When focused or filtered, a status bar appears to remind you that content is hidden and provide easy access to your full outline. - Drag and Drop: In addition to text, images and other files can be dragged to documents. - Filters: Create and save keyword filters. If you're syncing with OmniOutliner 5 Pro for Mac, you can also apply advanced filters created in the Mac edition of OmniOutliner. - Optimized Inspector: The Contents and Text Style Inspectors now open in a unified view on smaller iOS devices and as a unified sidebar on larger iOS devices, allowing for improved access to inspector contents. When space is available, the Inspector sidebar now persists on the screen, making it easier to make multiple changes to your document. - Outline Column: The outline column can now be placed anywhere in a multi-column document. - Password Encryption: Add a password to your documents to secure them with AES-256 encryption. - New File Format: While .ooutline files are zipped by default, package files are still available for scenarios where that makes more sense, like for version control. - OPML Mode: Edit metadata for OPML files and set text encoding in the Document inspector. If you have any feedback or questions, we’d love to hear from you! The Omni Group offers free tech support: you can reach us by email at omnioutliner@omnigroup.com, by phone at 1-800-315-6664 or +1-206-523-4152, or on twitter @omnioutliner. • Siri Shortcuts: Siri shortcuts are now localized. • Section List: Fixed cases where deleting rows would not immediately remove them from the Section List leading to a crash. • Inspector: The column format control is hidden for the Note column as changing the type is not supported. 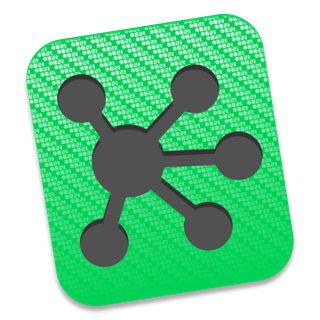 • Stability: Potential fix for a crash involving OmniOutliner files saved in nested folders syncing via OmniPresence. • Stability: Sections can be quickly collapsed and expanded in succession with a keyboard without crashing. • Stability: Custom Duration column configurations can be reselected without crashing. 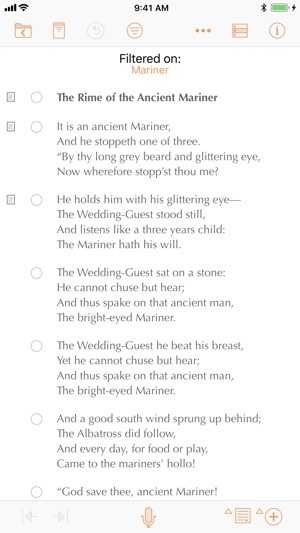 • Stability: Dropping text into the Document Picker no longer crashes. • Stability: Creation of multiple columns via a paste can be undone without crashing. • Stability: A sorted column can be converted to a different type and immediately edited without crashing. • Stability: Fixed a crash on iPhones or compact split screen mode when interacting with the Inspector immediately after applying a theme. • Stability: The save sheet for converting an .oo3 file to the .ooutline format can be cancelled without crashing. • Stability: Fixed a potential crash when applying a filter after having modified content to no longer match the filter criteria. If you have any feedback or questions, we’d love to hear from you! The Omni Group offers free tech support; you can email omnioutliner@omnigroup.com, call 1–800–315–6664 or 1–206–523–4152, or tweet @OmniOutliner. If OmniOutliner empowers you, we would appreciate an App Store review. Your review will help other people find OmniOutliner and make them more productive too. I downloaded this only because of the free trial and an idle hour. I already had a cheaper alternative, but I am too curious about apps for my own good. I was determined that at best I might, just possibly, buy the standard version, if it was *really* good. Then I tried the pro features for several days, and I am going to have to buy the full version. I did not expect that. Then I found something I needed that was not easy to do (long story, but connects to quite a specific usage scenario). I sent an email to support expecting to be added to a long list of possible future features. I got perhaps the most helpful response I have had to an app support request, providing me with a way to achieve what I needed right now. I did not expect that either. I have spent a few days deleting apps, trying to get rid of all the pretty things that once caught my eye and almost worked and to define a core workspace for the foreseeable future. This app is now, unexpectedly, a part of that core set. It does just what I need. Thanks to the developers for making it, and for the excellent support! OmniOutliner has revolutionized my workflow. One could think that an outliner is just for writers, and that Microsoft Word can also do outlining. But OmniOutliner is much more. 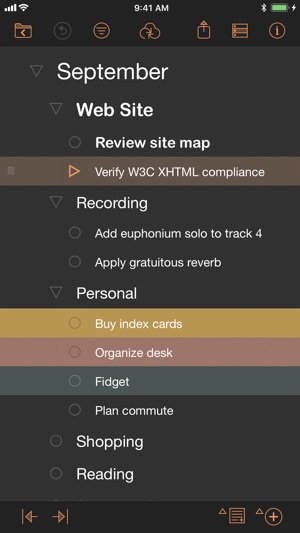 I use it to write down my ideas, organize them, make them into projects, outline things to write, keep track of information in projects (since OmniOutliner can store many types of information) and much more. Before OmniOutliner I tried many different tools, and nothing really worked. OmniOutliner has made my work much more efficient. And with OmniOutliner 3, many useful tools from Mac has come to iOS. And then Omni writes very elegant programs that fully use the UI of iOS and and Mac. Definitely worth the somewhat high price.